In 2016 Ana Marina will be releasing her highly anticipated debut LP, HAUNTED. The album will include five original songs (written and performed by Ana Marina) accompanied by five classically styled covers. Performances and appearances to be announced. 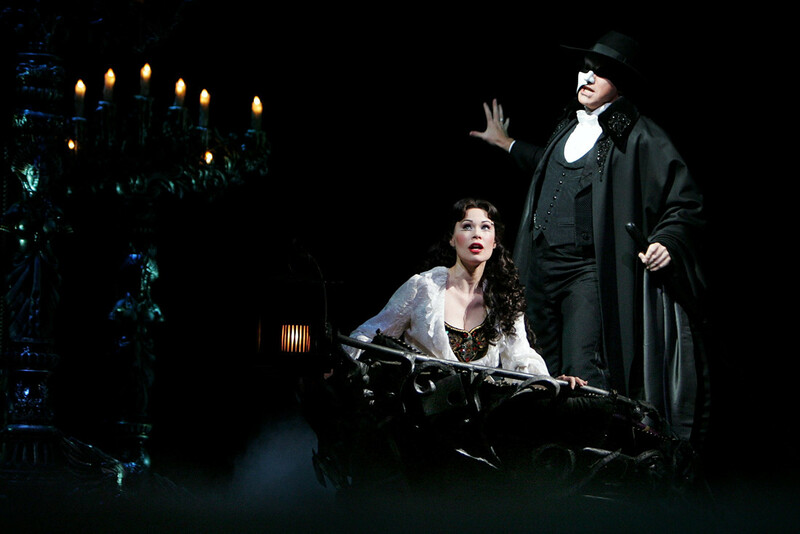 Previously, Ana Marina has captivated audiences around the world with her passionate portrayal of ‘Christine Daae’ in The Phantom of the Opera. She received rave reviews and gained a Helpmann Award nomination and a Green Room Award nomination (best female in a leading role) for this role in Australia. 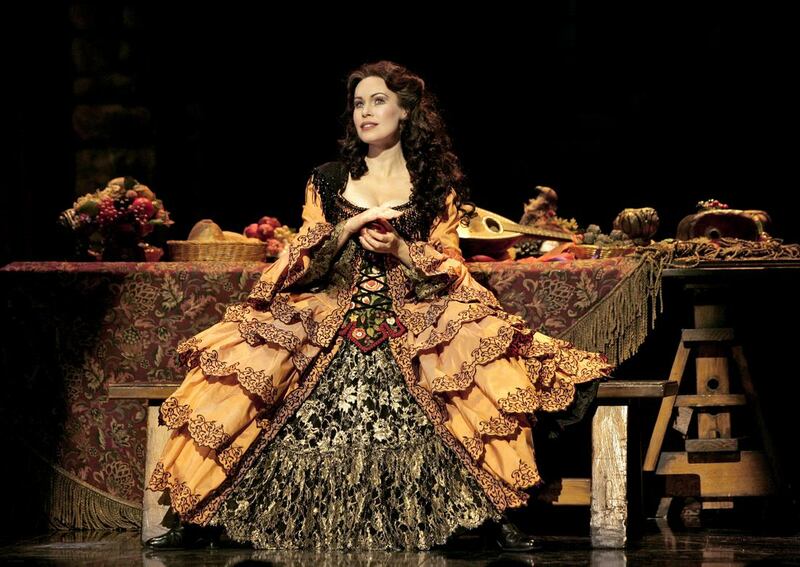 She has performed the role over nine hundred times in Australia, New Zealand (opposite Anthony Warlow), London’s West End as well as in the World Tour Production that traveled throughout Asia. Other theatre credits include the role of ‘Cosette’ for the 10th Anniversary production of Les Miserables that toured Australia and New Zealand, and ‘Emma Carew’ in the musical Jekyll and Hyde. There, she starred opposite Broadway performer Brad Little, with whom she previously worked in The Phantom of the Opera (World Tour). She also played ‘Caroline Neville’ in Titanic (Theatre Royal). She also appeared in Chess (South Bank Piazza) and Savitri for Upstart Opera. Concert performances include A Musical Send Off (Capitol Theatre), Phantomine (Princess Theatre), Hats off (National Theatre) and concerts with the Queensland Pops Orchestra. Ana Marina also performed a solo concert for the 150-year celebration of the Boonara Homestead. Ana Marina performed alongside other international stars of Musical Theatre including Michael Ball (original Marius in Les Miserables), in the concert Do You Hear The People Sing? (The music of Boublil and Schonberg) in Taiwan. Ana sang the World Premiere of the song ‘At the Break of Day’ (Au Petit Matin) from the musical La Revolution Francaise. The song had never before been sung in English. Television appearances include a solo performance for the 8th Annual Helpmann Awards, televised live on Foxtel. Mornings with Kerri-Anne, Good Morning Australia with Bert Newton, The Today show, ABC’s Quest – The Percy Grainger Award with the Queensland Symphony Orchestra. Ana Marina also sang live before 52,500 people for the State of Origin, and at the International netball series NZ vs. England both televised internationally to millions. Other International appearances include live televised concerts in Shanghai and Seoul. Most recently Ana Marina performed with Underground Opera in their West End to Broadway season at the Spring Hill Reservoir in Brisbane. Ana Marina studied voice at The Queensland Conservatorium of Music and graduated with a Diploma of Music. She also studied at The National Actor’s Conservatory (QLD) where she graduated with an Advanced Diploma of Screen and Stage Acting. In 2007 the Actors Conservatory honoured her with The Outstanding Industry Achievement Award.